In 40 to 60 days, the magical awakening begins, and the hatchlings quickly find their way to the surface and follow the call of the ocean. Days later, when the biologists exhume the nest, a straggler is often discovered. With high hopes, we watched this one find its sea legs and head to the ocean. 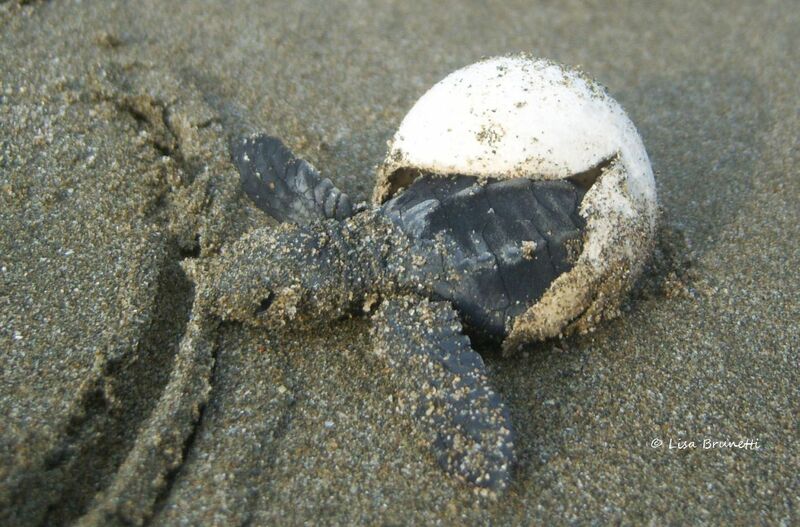 Like a baby mammal in search of its mother’s first milk, the olive ridley hatchling follows the call of the ocean. The ocean embraces the baby turtle with a complete baptism! After a nest hatches, the biologist oversees the little ones’ journey to the ocean. 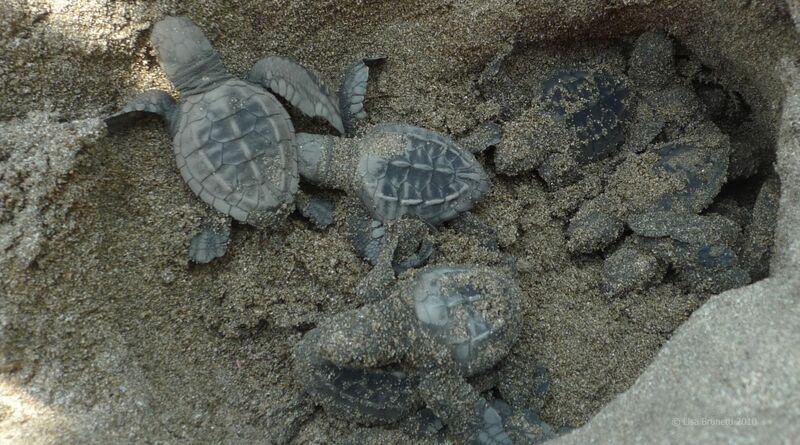 With zero qualms, the hatchlings scamper straight to the ocean! For a scientific post about the olive ridley sea turtles, go HERE. Visit Let’s Be Wild for other posts featuring NEW BEGINNINGS. Amazing. I think that it is a lovely thing to witness. 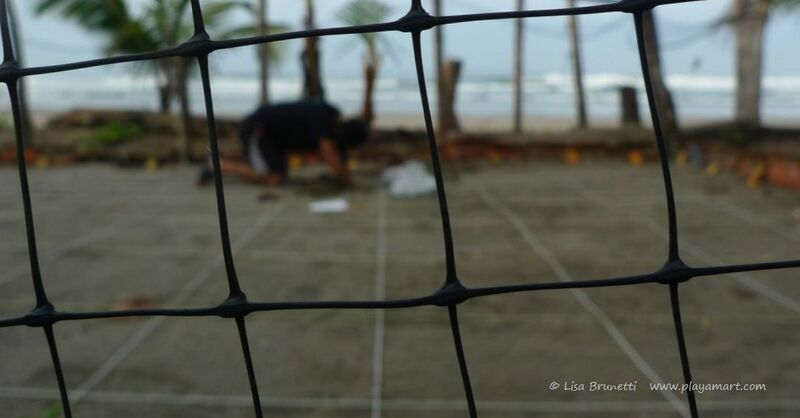 Love seeing the olive ridley sea turtles’ new beginnings….great photos Ms. Zeebra Design & Destinations. Many turtles are dying from eating plastic floating thinking it is food. Gets lodged in their throat and they starve to death. yes, the problem of plastics continues to grow; it’s amazing yet sad to see how much one sees that washes ashore each day. Congratulations! I remember that was an outstanding post! thank you! that day was an amazing day for photos..
this is so beautiful, I live close to Island and this happens once a year there, will try to go this year. Great post! Way to go Z! Whoop..whoop! Oh, this is so wonderful! One of my dreams are to get the chance to see this in real life – I think your pictures show the true wonder. of it. 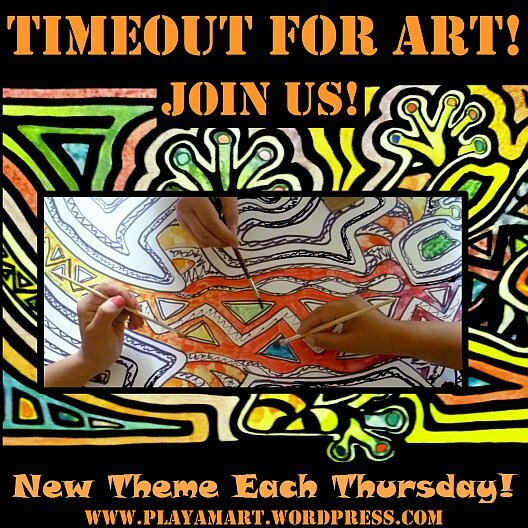 Have a nice time painting! i hope that your dreams come true! 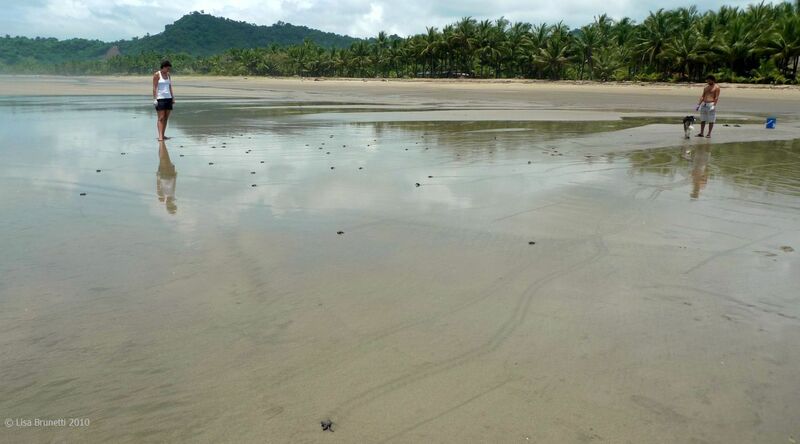 the only bad part is that the turtles nest in the rainy season, so many times i trudge the beaches in the rain. seeing the nesting turtle is worth it, though! I finally did some research and lo! You have the Olive Ridley, we have the Kemp’s Ridley. The life cycle, and so on, is very much the same. One note I did find about the Kemp is that the young turtles float on large mats of sargassum (a type of brown algae) in the Gulf of Mexico and Atlantic Ocean. Wintertime is our seaweed time – great piles of the sargassum build up on the beaches. This article from Mississippi is terrific – I suspect you know the sargassum well. I never realized the baby turtles call it home, though! It’s fun to think of your turtles and our perhaps meeting up somewhere in mid-ocean, exchanging notes about life with one another! how great that they can use those floating mats of sargassum as their shelter! ican that seaweed be used for culinary purposes, or is it too tough? thanks for the link; i’m looking at it now! Great news. Congratulations! I also remember the remarkable post you did earlier. Amazing process to witness and experience. Sorry if I missed it – when were these taken? When was the hatching? I posted it at the end of the year, though I’ve written about them a handful of times! 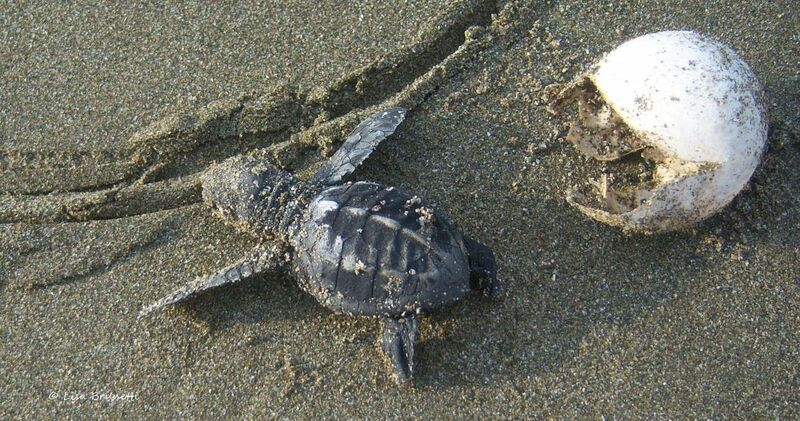 The nesting season at Playa San Miguel, Costa Rica is from July until late November/Decemjber, during the rainy season. 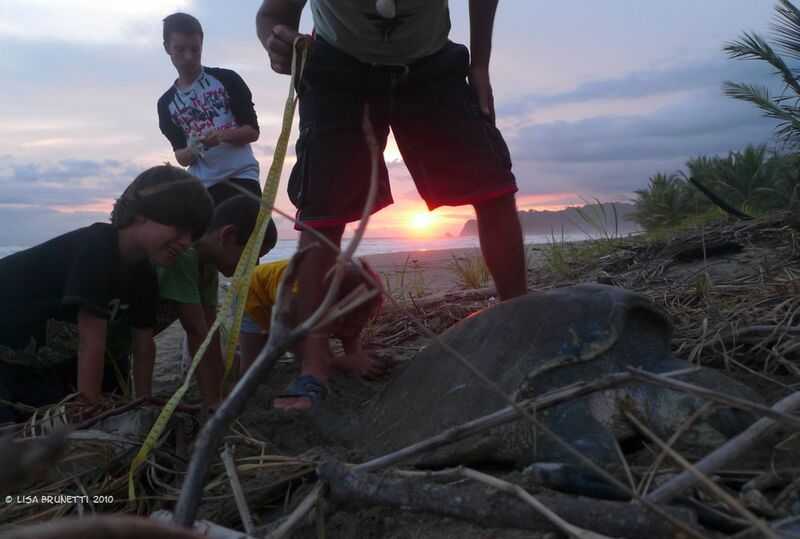 Nicaragua and Costa Rica have arribaras, and I am hopeful that this year I will be able to witness one. I’m so glad that program exists. I wonder if there’s a place on earth where sea turtles are not taken in excess. Anyway, great that you were allowed to be close enough to take these photos, which are wonderful. Not to worry about “going dark” for a little while – our attention span isn’t THAT short! Congratulations! I too remember that post. thank you! after i finished painting, i came upstairs and there was your greeting/congratulations.. i’m totally honored! i’m equally happy that your precious turtle made it to the top as well! yes, TURTLES RULE! i love all of your images in the clouds post. to me, there’re all new, so i’m glad you shared them! Good luck little turtles. Congrats on your photo! It’s a wonderful one so I’m glad you are recognized for it . thank you! it was a true surprise, and a nice way to end the day! Congratulations ! Great photos and wonderful post ! I NEVER tire of these little guys! thank you! i’m lucky to spend my life immersed in nature, so i have folders and folders of unique images! it’s nice to have a platform for sharing them! Congrats Lisa – This is a great series ! Congratulations Lisa! I knew it! It’s outstandingly wonderful!